According to legend, Chinese civilisation began around 4,000 years ago in the Yellow River basin, when an emperor called Yu the Great successfully managed to control a huge flood. After all these years, the story has taken on an almost mythological status, but despite frequent retelling, evidence for the 'great flood' and the Xia dynasty itself has remained patchy. Now researchers have found the first geological evidence that the flood actually happened - and it was just as big as the legends suggest. An international team of scientists has shown that, around 1920 BCE, an earthquake triggered the Yellow River to burst its banks, creating one of the largest freshwater floods in human history. The evidence suggests that this flood occurred several centuries later than the legend of Yu the Great, but the timing matches up with the region's major transition from the Neolithic to Bronze Age. It also supports the hypothesis that ruins in the area attributed to the 'Erlitou culture' are actually an archaeological manifestation of the Xia dynasty. Researchers have long suspected that this Bronze Age Erlitou culture might represent Yu the Great's Xia dynasty, but they needed evidence of the flood to tie it all together. "Great floods occupy a central place in some of the world’s oldest stories," geologist David Montgomery from the University of Washington, who wasn't involved in the study, wrote in a commentary accompanying the results in Science. "Emperor Yu’s flood now stands as another such story potentially rooted in geologic events. ... How many other ancient stories of intriguing disasters might just have more than a grain of truth to them?" (We're looking at you, Noah). There are several different versions of Yu's Great Flood story, but the gist of it is that a flood large enough to "assail the heavens" was raging through the region, before Yu figured out how to dredge and channel the flooded rivers to control the water - a task that apparently took decades and the help of dragons and a giant turtle to accomplish. 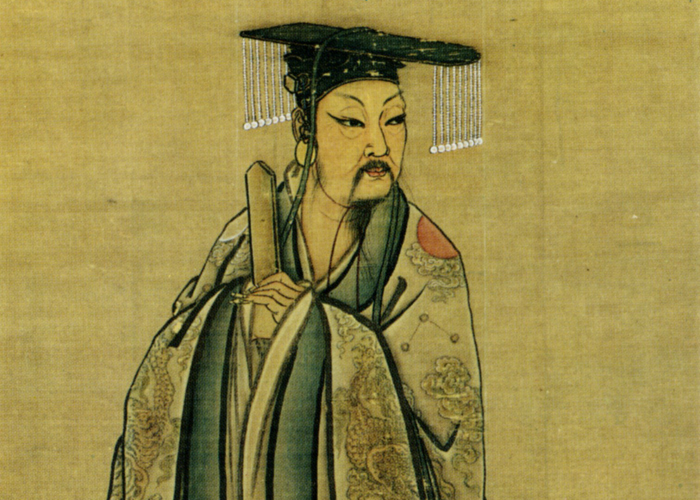 As a result, Yu earned his spot as the ruler of the Xia dynasty. The evidence for the flood came from unusual sediment found in the Jishi Gorge of the Yellow River. By analysing and dating this sediment - as well as the remains of children who died in an earthquake in the nearby archaeological site of Lajia - the researchers were able to put together a rough timeline of the events. They estimate that the same earthquake that killed the children in Lajia also caused a landslide that damned the Yellow River in the Jishi Gorge. The water built up behind the dam until it spilled over the top and eventually caused the entire wall to collapse, sending a backlog of water downriver to flood the lowlands. "The ... flood shares the main characteristics of the Great Flood described in ancient texts," the study authors write. And it was just as devastating as the ancient stories suggest. According to modelling projections, the flood water would have risen around 38 metres (124 feet) above normal river level, with flood rates of up to 500,000 cubic metres (132 million gallons) per second. "That’s equivalent to the largest flood registered on the Amazon River, and the largest known flood on Earth in the last 10,000 years," one of the researchers, David Cohen from National Taiwan University, told reporters during a press conference. Verification of these results is needed before we can say for sure whether this historical flood was Yu's 'great flood', but it seems there's definitely some truth to the legends, and hopefully further research in the region will help us to better understand how Chinese civilisation was born.